Recycling theft, “scrappers” or “scavenging,” is the unauthorized collection of recyclable materials set out by residents for authorized collection programs with the City [City of Minneapolis ordinance 244.355(c)]. 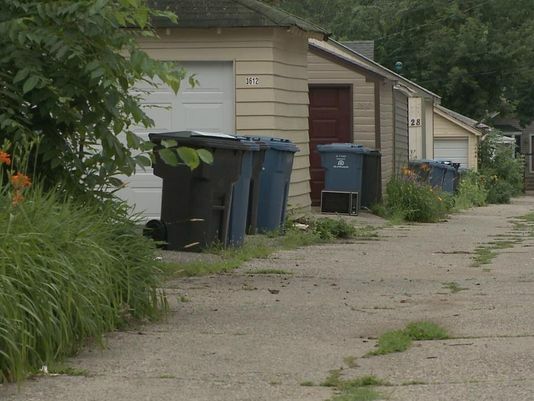 It may appear to be a harmless act, but scavenging gives individuals an opportunity to survey what items you have in your alley, garage and home and takes revenue from the City that could have helped lower your solid waste fees. Call 911 if you see scavengers taking items. Jot down a description of the individual(s), vehicle and, if possible, the license plate number, the direction they are going and any other information that could help the police. This entry was posted in Green Living, Safety on November 3, 2015 by anacoordinator.